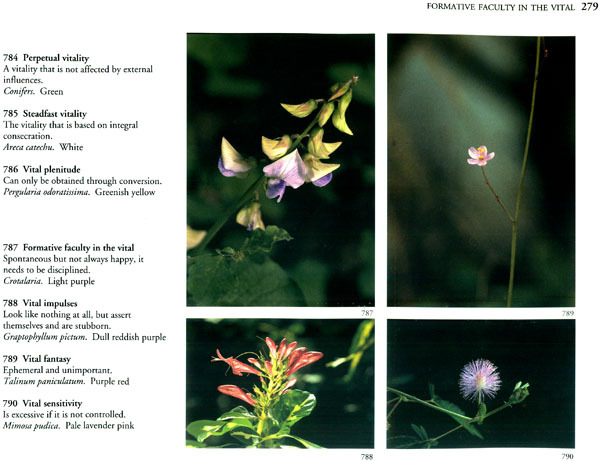 "Flowers speak to us when we know how to listen to them," the Mother said. 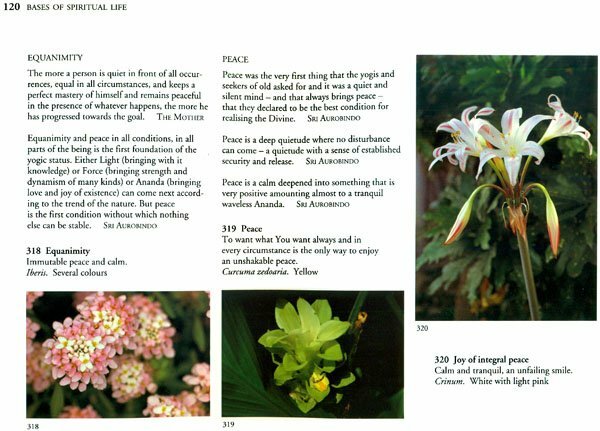 "It is a subtle and fragrant language." 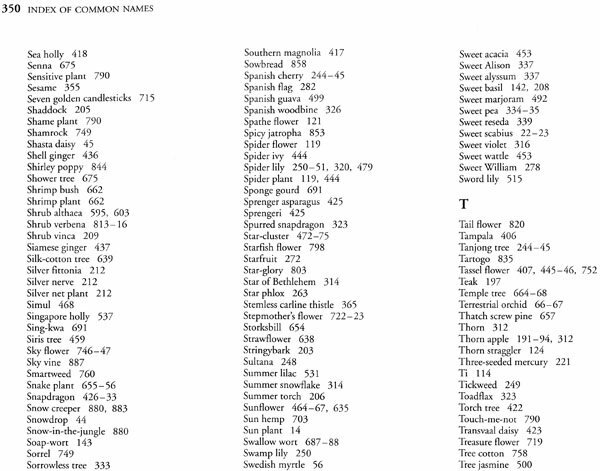 As if to provide a key to this language, she identified the significances of almost nine hundred flowers. 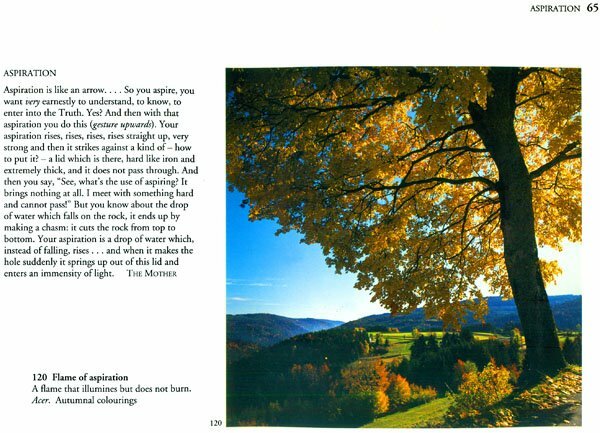 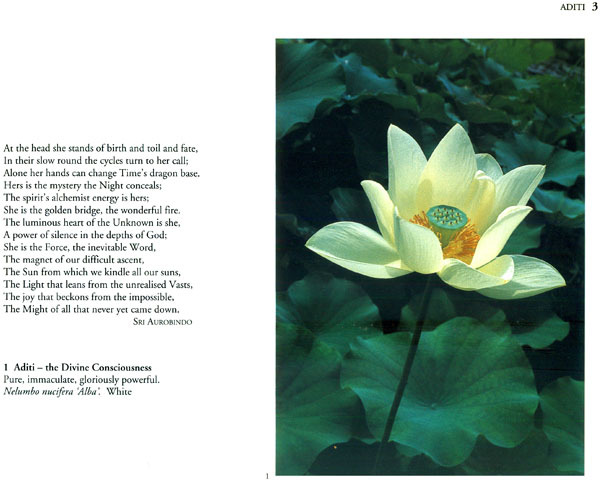 In this book, these flowers and their meanings are presented in the light of her vision and experience. 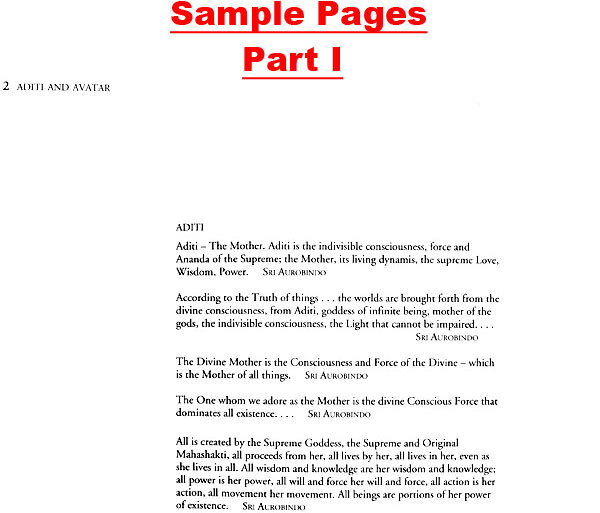 The book consists of two separately bound parts. 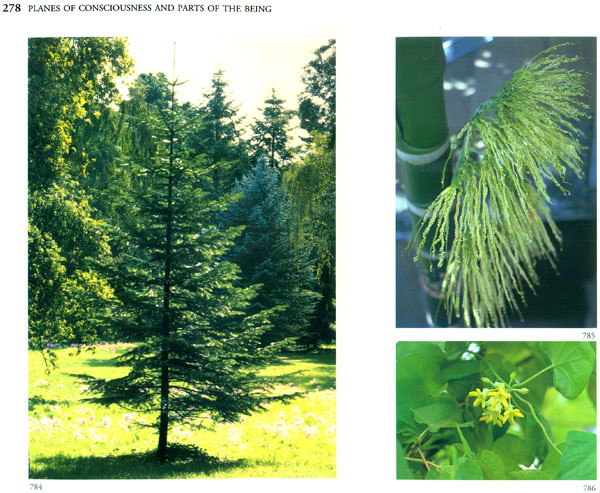 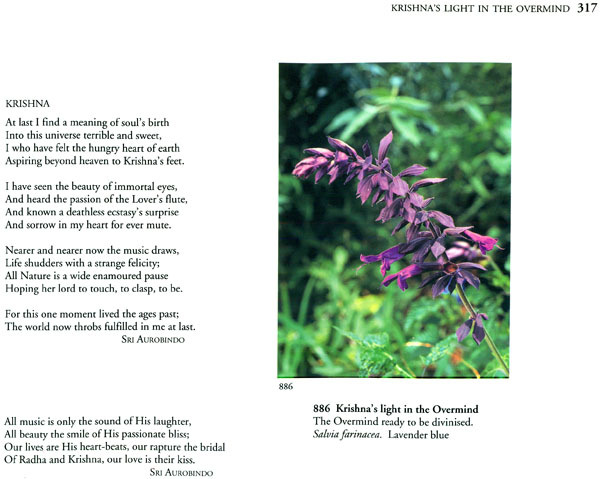 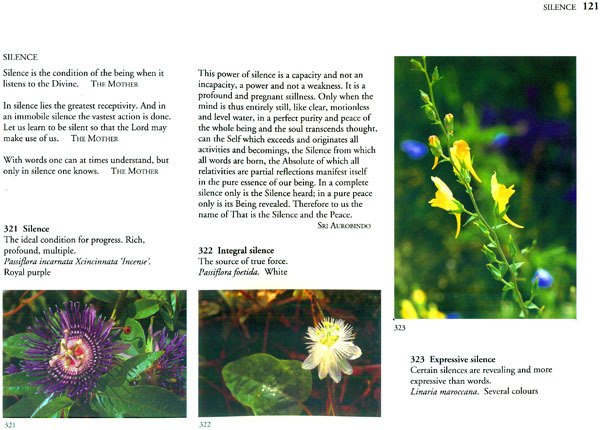 Part 1, the text and photographs, is arranged thematically on the basis of the Mother's flower-significances. 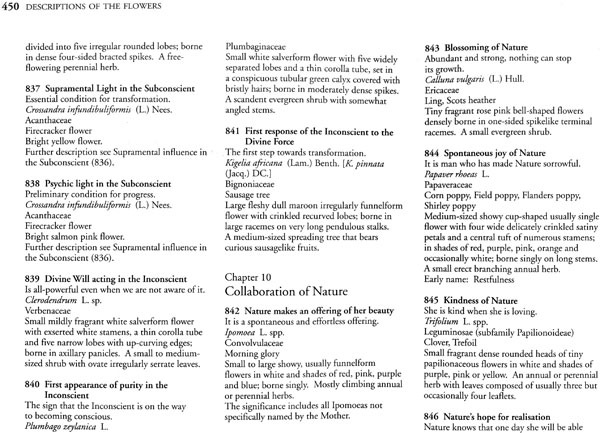 In each of the twelve chapters, flowers of related significance are grouped together; these groups are then placed in a sequence that develops the theme of the chapter. 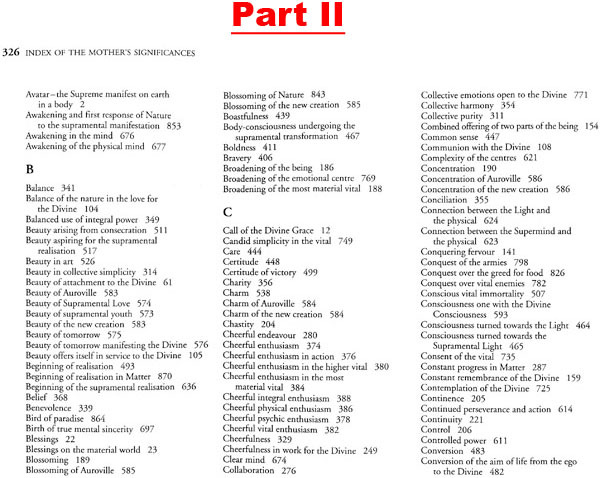 The organization of the chapters is outlined in the Contents. 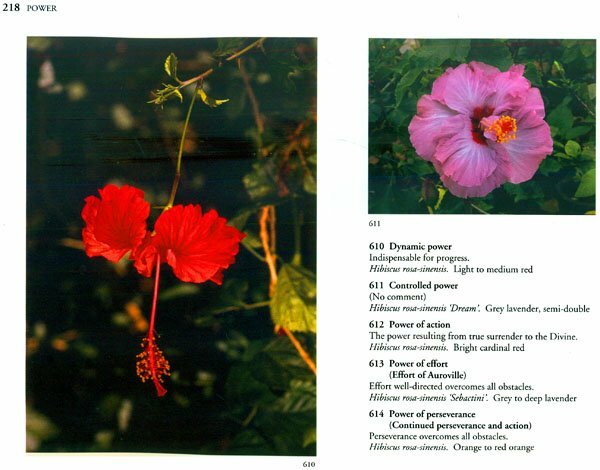 For each flower in Part 1, the following details are given: the Mother's significance, her comment on the significance, the botanical name, and the colour or colours of the flower. 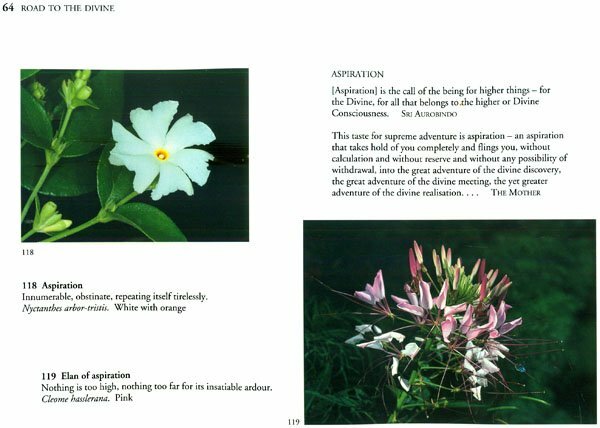 Relevant quotations from the works of Sri Aurobindo and the Mother accompany many flower-significances as an aid to understanding them. 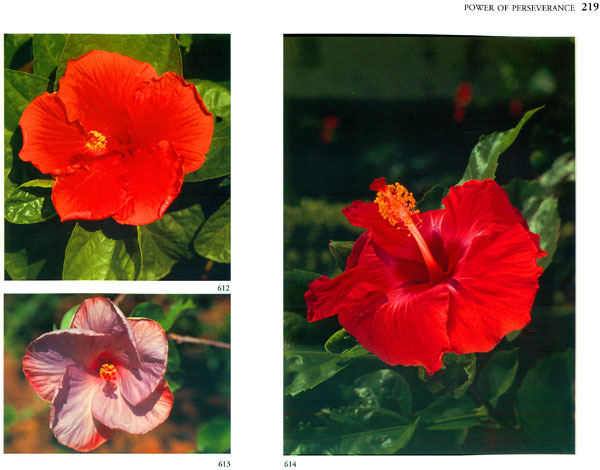 For most flowers there is a colour photograph to facilitate identification. 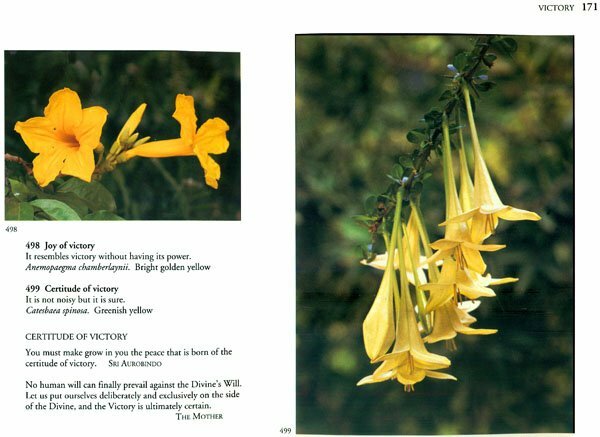 Part 2 is a reference volume containing indexes, glossaries, detailed descriptions of the flowers and other information. The d indexes make it possible to locate the flowers in Part 1 by looking under the Mother's significance, the botanical name or the common name. 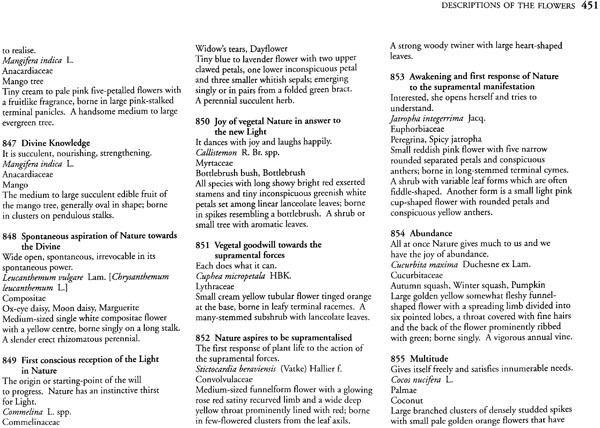 This reference volume contains indexes, glossaries, descriptions of the flowers and other information. 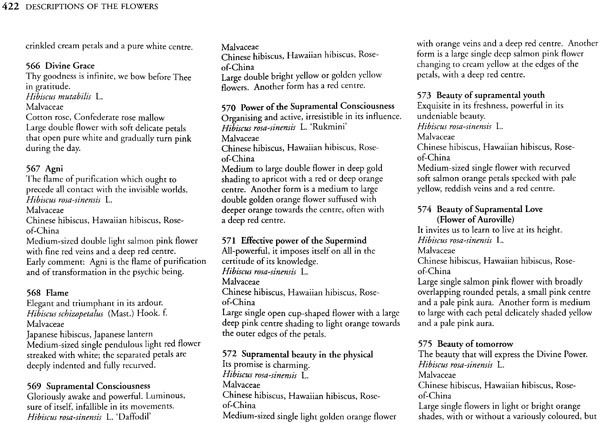 There are three indexes giving the location of the flowers in Part 1: an Index of the Mother's Significances, an Index of Botanical Names and an Index of Common Names. 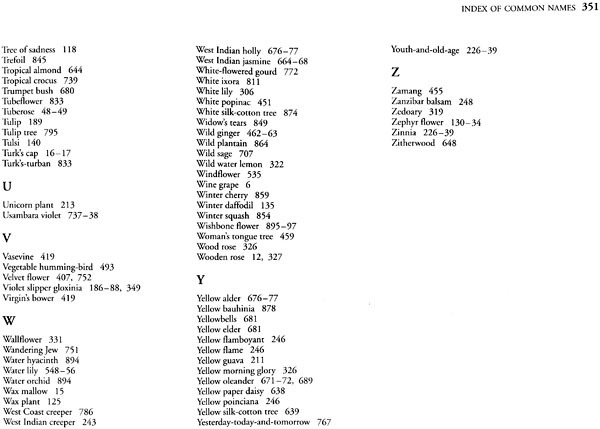 The user should note that in all these indexes the reference numbers are those of the flowers as they are arranged in Part 1, not the page numbers of the book. 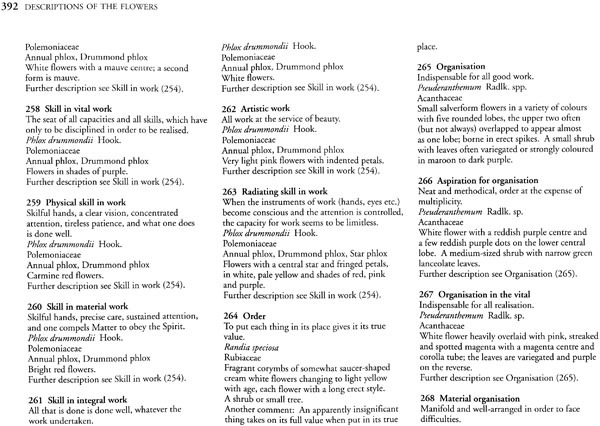 Two glossaries explain technical terms used in the book. 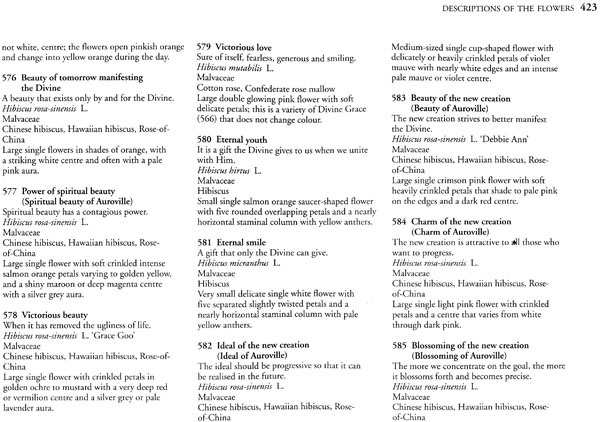 A Glossary of Botanical Terms defines words that occur in the Descriptions of the Flowers. 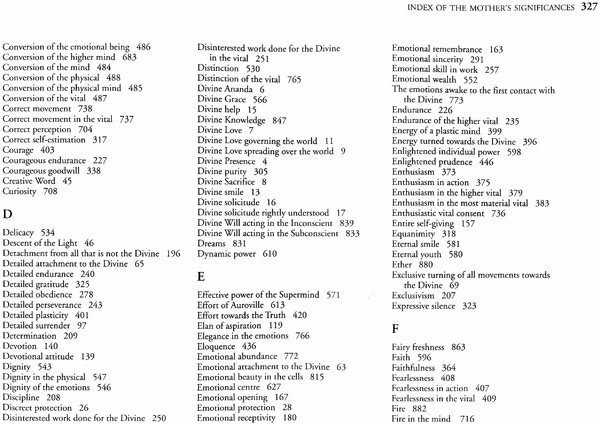 A Glossary of Philosophical and Psychological Terms provides definitions of the Sanskrit and other words that are found in the quotations of Sri Aurobindo and the Mother. 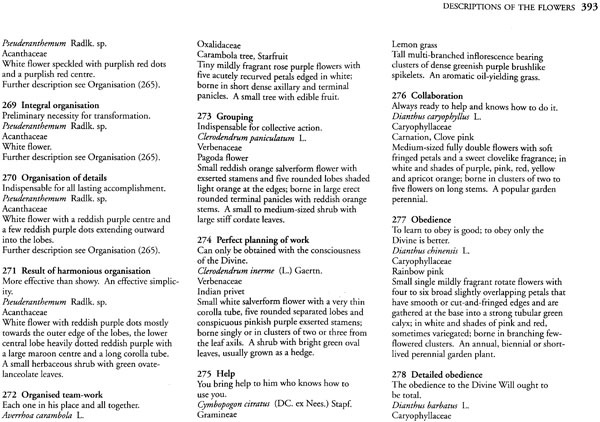 A brief section, The Symbolism of Colours, explains the meaning of various colours and their relationship to the Mother's flower- significances. Descriptions of the Flowers, the largest section of the book, gives the full botanical name and family of each flower and indicates its size, shape, colour, lifespan, leaf-type, etc. 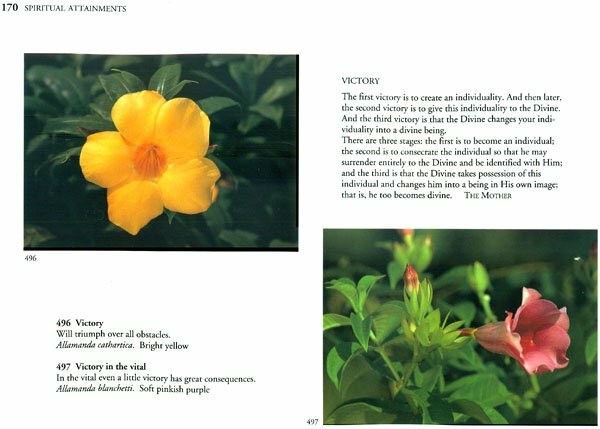 Note on the Texts and Photographs, the concluding section, identifies the sources of the quotations of Sri Aurobindo and the Mother and provides general information on the texts and photographs.